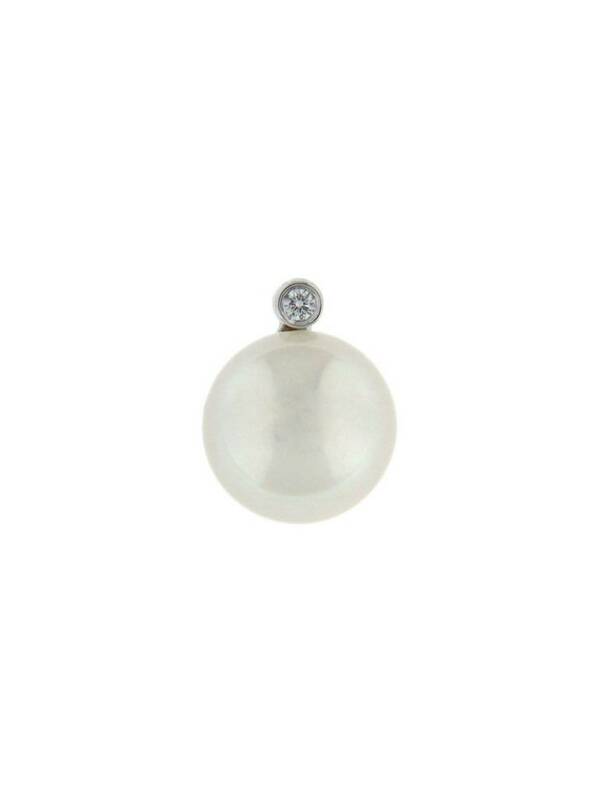 Ladies diamond and freshwater pearl pendant of classic styling. 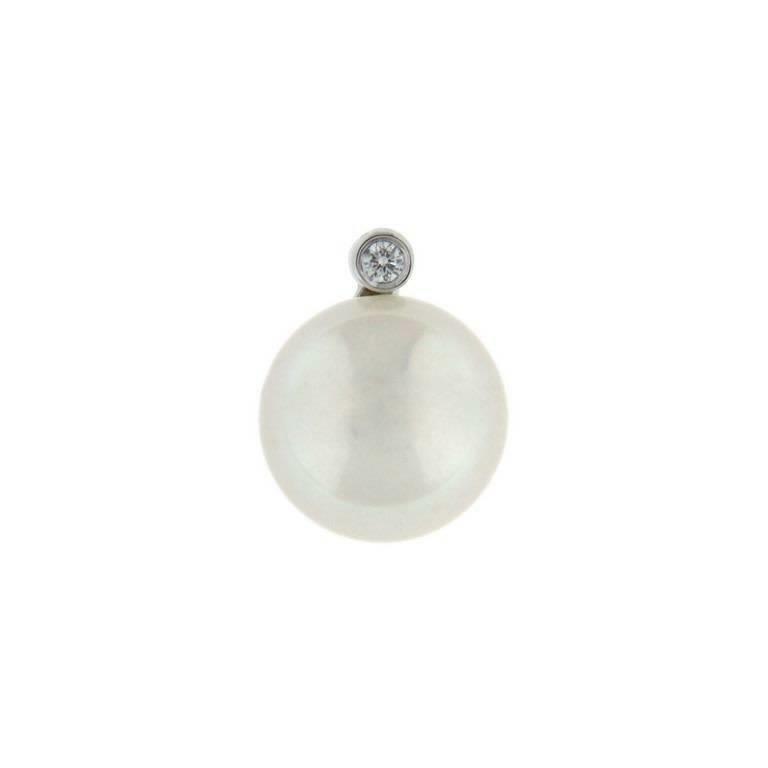 The pendant is crafted in 14k white gold and set wtih one freshwater pearl and one, bezel set, round brilliant cut diamond. It includes a 14k white gold necklace. Ladies Akoya pearl studs of classic styling crafted in 14k yellow gold. They are set with two Akoya pearls on a stud post with butterfly backings.